Wow. I’m just back from Art Is…You Retreat on the East Coast. If you have not ever been to a retreat I highly recommend it! The energy is unbelievable and you come home full of inspiration. The emails and texts have been flying back and forth since I’ve been back and it’s truly amazing to see people gathering courage to go forward with their artistic goals! While there I had the pleasure of teaching in the same room as Diana Trout. She is amazing as is her art and she graciously donated a copy of her book Journal Spilling and a packet of special collage materials to give away on my blog! Diana’s book is full of ways to let yourself go and play in your journal. I love her free approach that allows you to enjoy the process of making art and not worry so much about the process. She shares many ideas and ways to journal fearlessly and I’m excited for one of you to win this giveaway! So just leave a comment and on October 14th I will draw one of your names! Beginning October 15th I will be offering the last of my workshops for 2011. You can read about them HERE. I’m clearing my plate after this to concentrate on a couple of big projects so if you are wanting to take a workshop now is the time! They will run from October 15th-November 15th but I’m offering something I’ve not done before and that is video downloads come with the class! So you can keep creating all winter long. This is the last time I will be offering these workshops. To kick things off I’m going to give away your choice of one of the five to another name drawn from this post! So, leave a comment and on the 14th journaling inspiration will be given away! Funds keep me from taking a class right now, so winning this would be a great birthday present. Then there is the other prize to win the book and material. Boy, could my journal need this help. Have my fingers crossed that I may possibly win your class. Thanks for the opportunity. Pam – i’ve loved your art for a long time! thank you for saving your gift with all of us! i would LOVE to take one of your sessions! I might have to retire a few years early just to find time for all this fun art. I surely would love to win your class. I thought I left comment early this morning and I didn’t see my comment up there. I guess I will do it again… I am new to this site and I already fall in love with the arts. It draw me nigh to the sky and explored all kind of emitions like fireworks, it makes me want to swim into the arts. Hope my name would be drawn for the book and free workshop! I am willing to learn for the length of life because our lives are always the pictures of art! You have very large heart to do this for someone special and meant to be for! Thank you…. I would love to take another of your classes but retiring has made a change to the budget…..I’m saving my pennies for one in the future so I hope you don’t give them up. I’m keeping my fingers and toes crossed to win one of these giveaways. I need some new inspiration….. I would love the opportunity to win your class. I always enjoy looking in on your art and love your style. The book and collage materials would be a great prizes too. I am just getting started into journaling and would benefit from either. Both are very generous. Thank you for the opportunity once again. what a great giveaway. If I don’t win, I’ll have to check out Journal Spilling! sounds like you had a grand time! Would absolutely love the chance to win one of your workshops and the book too – what a fantastic prize. Thank you for the opportunity Pam. I have enjoyed Diana’s blog and would love to win her book. Of course collage supplies always put a smile on my face. Thanks so much for the opportunity to win this great giveaway! And thanks also for the chance to win one of your workshops. That would be awesome! Hi Pam! Your work is so inspiring and empowering. 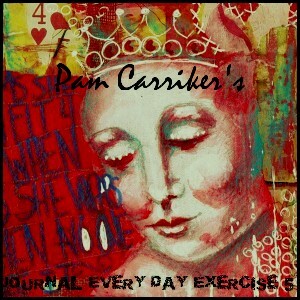 I am so excited about art journaling and love the idea of Diana’s book offering even more ways of engaging in process. Thank you! Isabella, you have won Diana’s Book Journal Spilling!!! Thank you Pam for offering such wonderful opportunities for inspiration. Your book (actually my book of yours) is dog-eared, post-it noted, and dribbled with a bit of paint and I enjoy it over and over. Because we are in Mexico a majority of the year, a video workshop really fits the bill for me. And you can never have too many books ! Please enter my name. I’d enjoy attending an art retreat-but it would need to be within driving distance for me…. I’ve long admired Diana Trout’s art and would be thrilled to win her book! 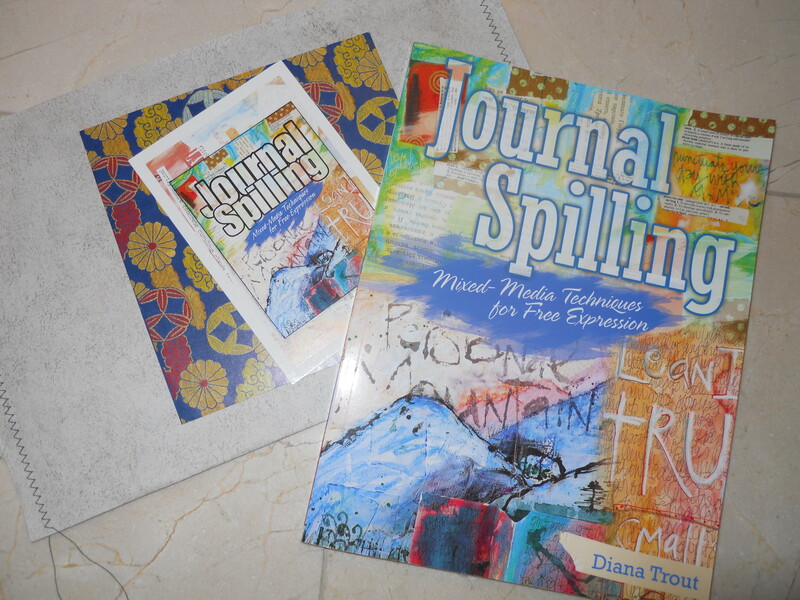 OH, I love Diana Trout and have always wanted her book, Journal Spilling!! (I have your book!) I love art journaling but I’m often stumped. Diana’s book would offer so much inspiration. Please enter me to win! I am a Diana fan from her Painting Background DVD and her Sketchbook Challenge posts. Would love to win the give–away! I am a follower of many journaling artists, and always looking for fresh inspiration, but I am ashamed to admit that Diana is a new artist to me:) I would appreciate being thrown into the Giveaway pot:) I am already inspired by your book, DVD, and iPad downloads, and smoke signals if they were available! This is an exciting give-a-way! Fingers crossed! There is not much going on down here in the South of Spain in terms of art retreats or mixed media activities,thanks heavens for Internet! Pam, great giveaways you are offering here and obviously, hope I´ll get one of them;-). Hi! I am new here. Found your name pam in an art magazine. Oh, I so need inspiration. The journal book would be wonderfully helpful, (you would be able to see I need it, from how empty my sketch journal is, and intimidated I am with it). I used to be an art teacher, got into corpt america, and am now home, trying to figure out how to find my artistic voice again. WOW! What a GREAT giveaway, Pam!! I would be sooooo happy to win! Thanks for the opportunity, Pam!! I would love the opportunity to win either of these wonderful prizes. Thanks for the generous offerings. I always enjoy your newsletters. The Journal Spilling book sounds great. I’ve just started journaling and finding my own style in mixed media-like others have said here, it’s never too late! Thanks for the chance to win. new thing for me. They do sound a lot of fun though. Thanks Pam for the opportunity of 2 great give aways! What a generous giveaway…and I’d love to win! Thanks for sharing your news and photos – love your newsletter. The retreat sounds like a great experience. I know that I enjoy seeing the artwork that you, Seth, Nancy, Jodi, and Diana contribute to the magazines that I read. Thank you and Diana for the opportunity to win Diana’s Journal Spilling book. The retreat sounds like a great experience. I appreciate the artwork that you, Seth, Nancy, Jodi and Diana contribute in the magazines I read. To be taught in person would be a dream. Thank you and Diana for the opportunity to win Diana’s Journal Spilling book. Hi Pam, hope you’re doing well. I would LOVE to win! Besides that, I have a question… I joined Journal 365 back in February and due to every life crisis you can imagine, I haven’t started it yet (well, I made it through Lesson 1). Will it still be available for me to use for awhile? I think I bought it through Creative Workshops? Since my email address has changed and they could not transfer my old saved ones, I don longer have it. Is there any hope for me still taking this class? Thank you very much! Sharon, you have won a free workshop!!! Please email me at pcarrikersart@yahoo.com to claim your prize!! I discover, that art workshops are the best thinks next to be a new mom, they give you the opportunity to daydreams…and it is totally the same with art books…love both. With me is like playing with a kid and baby and dreaming of painting and playing with colors. And if I’m lucky and the baby is slipping I could play with colors for real with my 3 year old kid. Love the experience, and jep, can’t wait to be both so big, so I will play with both and we will use a lot of colors and papers and junk too. I have just started journaling this year ( I’m 62 ~ it’s never to late) and loving it. Keeping my fingers crossed. Thank you for the chance to win. Sounds like you had a great time on your retreat. Can you share more? Thanks for the opportunity to win this book! I have seen it mentioned many times, yet still don’t have it. Thanks also for offering one of your classes, amazing giveaway! Yea! Journal Spilling! amazing book! The very very best way to express and heal our Selves is to spill and speak into our journals… daily! Wonder what my lucky number might be? I want it all…inspiration from Trout’s book and inspiration from your videos. Your workshop videos are fantastic-you do a great job-and I have learned much from you. I always look forward to see what you’re doing next. Thank you for cheering all artists forward and offering these wonderful perks. i would love the opportunity to win one of your classes. i was only able to make it to artis for one class this year. although i did make it to the trunk show. it was a real treat to peek in on the class you were teaching. it really makes a difference seeing work irl. I would love to win either of these wonderful generous prizes! Living in a Third World Country makes it difficult to enjoy all the Art possibilities! LOL Art supplies are very limited here! Hats off to both of you talented generous ladies! This sounds like a fabulous adventure — and some day hope I can attend a retreat. I just had put Journal Spilling on my Amazon wish list — ooh maybe tomorrow I can take off of there. LOL — keeping my fingers crossed. Thanks for the opportunity to win. I’m also going to check the links on your classes now! I love the sound of art retreats. Definitely on my wish list! Thank you. HI Pam! I was at Art Is in Danbury but didn’t get to take any of your classes 🙁 but I was still absolutely thrilled to meet you in person (i was the once chasing you down to sign my new Pam Carikker designed stencils!). This is a very generous giveaway and I’m looking forward to taking your online workshops! Wow, Pam, it is amazing at the items that you give away! You are wonderful. Will definitely sign up for one of your workshops. Keep inspiring. Can’t wait for the Oct 15th workshops to start! I’m more impatient than a five-year-old and it’s only two days away! Maybe next year I can swing a retreat. Sounds heavenly! I took a class from Jodi Ohl and I truly understand why you wanted her to contribute to your book! She was amazing. You are so right about the community especially at Art Is You! 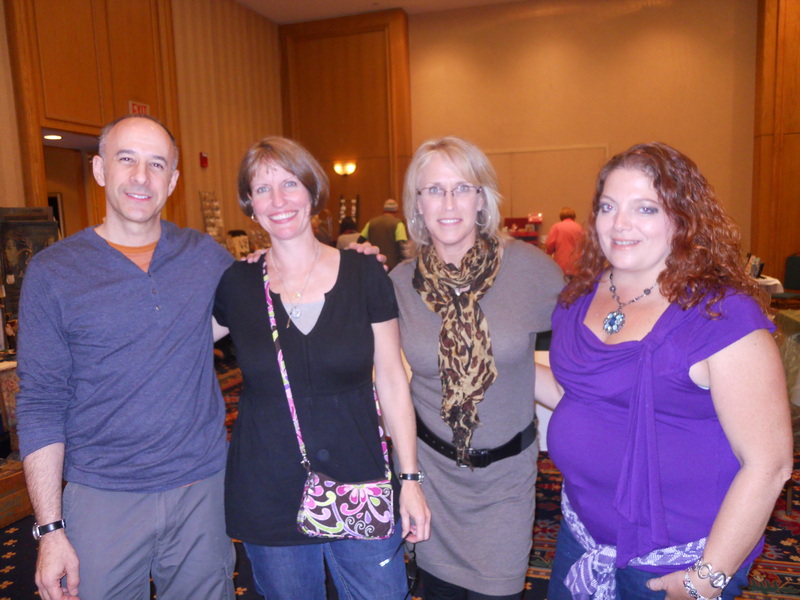 Loved that you had a wonderful time at Art Is, it is my favorite retreat. Diana is a wonderful teacher. Enjoy you new home and your creative space. Wish I could have gone, but I don’t have anyone to take care of my kids. Maybe one day!!!! I SO want to take these workshops. They look fabulous! Sounds like you had lots of fun at the retreat. Please enter my name in the give away. I’ve neverbeenabletoaffordto go to any ofthe art retreats, but hopefully…one day I will. Would love to win the give-away…how nice of you all to do that! I’m already signed up and i can’t wait! Pam – I was in your recent “Behind the Face” workshop at Art Is. I was the one that was being overly critical of myself…okay, I’m over it! I love my painting now! I look at it and can’t believe that I DID THAT….well, actually I am looking at a photo of it on my cell phone because it is still in a box that I shipped back to my Illinois home. Anyway, I loved your workshop and plan to take future ones! You are a fantastic teacher and keep it fun while making your students understand! Thank you so much!!! I was intrigued by some of the classes Diane Trout is having at Art Fest in Virginia. Would so love to get one of your workshops–Diana’s book, too. Ive seen Diana’s Utube videos; she’s terrific. Would love her book – thanks for the opportunity! Count me in please. Wow, It sounds like an awful lot of fun to go on a retreat, I wish there could be one closer to my town or eh..country 🙂 But reading books by Nancy Lefko, Jodi Ohl and Diana Strout are little retreats in themselves… What a wonderful opportunity to win one of your classes! sounds like fun! wish I had the time to do it!! WoW great giveaway I’m feeling lucky! I always love getting fresh inspiration tips from a new art book! It was so great to finally meet you Pam…along with the other artists from ‘Art at the Speed’ and all the other bloggers that I hadn’t yet met. I have already marked my calendar for next year. Would love a chance to win. Love to find inspiration everywhere. Pam, I took your class at the retreat in Danbury. I honestly don’t know of any other words to describe it except “awesome”. Getting the opportunity to meet someone of your talent and to take your class is an event I will always remember. You are a wonderful instructor and awesome artist. I will be at the East Coast retreat next year. Still working on Italy. I’m in! Having met Diana & seen her work, I know this is a fab prize! I’m 62 and started nursing school last month…it is one of the biggest challenges of my life…part of the difficulty is maintaining my creative side along with all the left brain study activity. I would LOVE a chance to win a workshop – I so love and appreciate your work. always looking for inspiration from my favorite art journalist ( is that a word?) thanks, Pam! Sounds like a good giveway:) Love that you can do what you love! I host an art retreat at my home every March. Last year we had Julie Nutting and Ingrid Dijkers teach workshops and this year we have the wonderful Lynne Perella coming for a two day workshop! Retreats are so inspirational! Thank you for the opportunity to win one of your classes!!! I am waiting for a class that uses your stamps!